With the kids’ back-to-school transitions in the fall and changes in routines that come as a result, I’ve never been able to get into a fall gardening routine. But, for those of you who do have such a fall gardening routine, be sure to check out the following native plant sales in Northern Virginia. 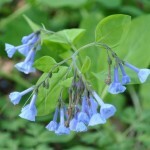 I’ve written before about the benefits of planting natives in creating and sustaining habitats for native wildlife, and about the ecological issues with invasive species. Attend one of these sales to learn more about what plants make sense for your space. Fall is the best time to plant, and local plant vendors will descend upon Green Spring Gardens to fill your gardening needs: perennials, annuals, shrubs, edibles, trees and even garden crafts. Proceeds from Fall Garden Day help acquire plants for the garden and add to Green Spring’s educational efforts. Learn more about Green Springs Garden. Take advantage of this wonderful opportunity to help wildlife by growing native, and support Long Branch Nature Center at the same time! The vast majority of our plants are native, propagated right in the Long Branch gardens and the prices can’t be beat! Featuring sun-loving and butterfly-attracting plants and a nice selection of wildflowers, shade lovers, ferns, and even a few shrubs. Rain date: Sunday, September 23, same time. Fee per plant as marked. Cash or check (sorry no credit cards). Learn more. Details about the plant sale will be available soon on their web site where you can learn more about the Parkfairfax Native Plant Sale. Earth Sangha is a nonprofit charity based in the Washington, DC area and devoted to ecological restoration. If you are unable to make it to the plant sale on the 30th, you can still purchase plants year round. Visit the Earth Sangha website for details. Fortunately, there is only a little overlap with the days and hours of the sales, so you can hit them all!